Epson sees the multifunction device Workforce WF-3620DWF in the business environment. The test investigates whether it is well-looked after. On ink in the office, Epson has been around for quite some time. With the Epson Workforce WF-3620DWF multifunction device, the manufacturer continues to follow this path consistently. The combineret prints, scans, copies and faxes. Office-oriented is the flexibility in terms of black cartridge, since it gives it in different filling quantities. 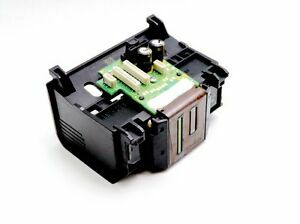 With the XXL version of the black cartridge you come to a text page price of 1.8 cents, and so on so follow up costs that the Epson WorkForce WF-3620DWF a color laser counterpart makes perfect competition. Also for the three color cartridges, there are tanks with high ink capacities. We calculate 6.4 cents for the colored page – this can be quite impressive. At the same time, we can not put much effort into the power consumption of the Epson-Kombis. With 1.6 watts in quiescent mode, it proves to be a satisfied energy user. Even with WLAN enabled, the value increases only marginally to 1.7 watts. Switched off, the device separates from the mains clean, so that our meter goes to 0.0 watts – very laudable. How much the Epson WorkForce WF-3620DWF is tailored to office use, is also reflected in the facilities. In addition to the automatic document feeder for a maximum of 35 sheets, it also holds a paper cassette for up to 250 sheets. There is also a single sheet feed for special media such as thick paper. As connections to find Ethernet, USB , USB host and WLAN. The wireless interface is additionally available as a WiFi direct version, to connect mobile devices directly to the multifunction device and thus save the detour via a router. The duplex unit of the Epson Workforce WF-3620DWF takes automatic two-sided printing. Anyone who wants to output documents directly on the device can do this via the memory card slot. The stand-alone functions can be controlled via the integrated touchpanel. However, we find the pressure point as a low-reaction test. If the finger command is activated, the combiner unit navigates quickly through the menus. Especially for office, the integrated fax is often important. 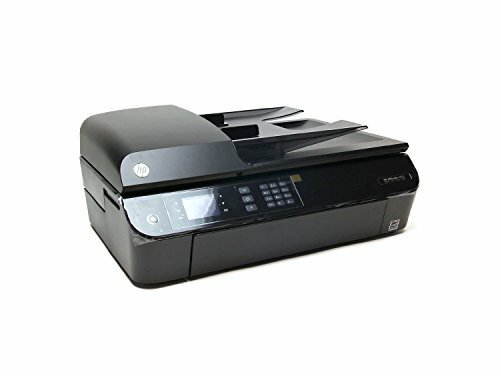 In addition, the device also understands the mobile printing via Apple AirPrint, Google Cloud Print, Epson Connect or via app. The working speed of the Epson Workforce WF-3620DWF also focuses on office use.Thus it provides in the text print brisk times in the printing as our ten pages Grauert-Brief in 40 seconds show. The brake is then used to clean the multi-purpose device when special media such as photo paper and high resolution come into play. We are waiting for our A4 test picture for a good three minutes. Even an edgeless photo in the format 10 x 15 centimeters takes a long time with 2:25 minutes. For this, the scans agree: They vary between 6 seconds for the gray balance scan and 9 seconds for the reading of a color chart. The strength of the Epson Workforce WF-3620DWF is unambiguous when dealing with texts – whether you print or copy them. In both cases, the multifunction device produces fine letters that are easy to read. The latter is also due to the pigmented inks, which remain fairly smear on the paper. They produce slightly dark colors, which, however, are harmonious in themselves. However, special nuances, such as skin tones, are not one of the strengths of the model. Overall the ink application is also correct in color printing. Copies the device without shrinking it. Again, the colors are right, even if bright details in the color copy are slightly under – such as colored background in graphics. Our testcans have a clear reddish in the color analysis and also a bit too strong blue. For this, we perceive its sharpness to the depth as high. A multifunction device, which is well-kept in the small office. The Epson Workforce WF-3620DWF delivers the performance that is important in the professional environment, both in terms of equipment and speed and quality. You get sharp texts, can print sheets with printed front and back automatically and have many connectivity options including WLAN and WiFi Direct. At the same time, the follow-up costs for the inks as well as for electricity remain pleasingly low. The Epson model can be used for tasks like the occasional photoprint, but it is not one of its strengths.